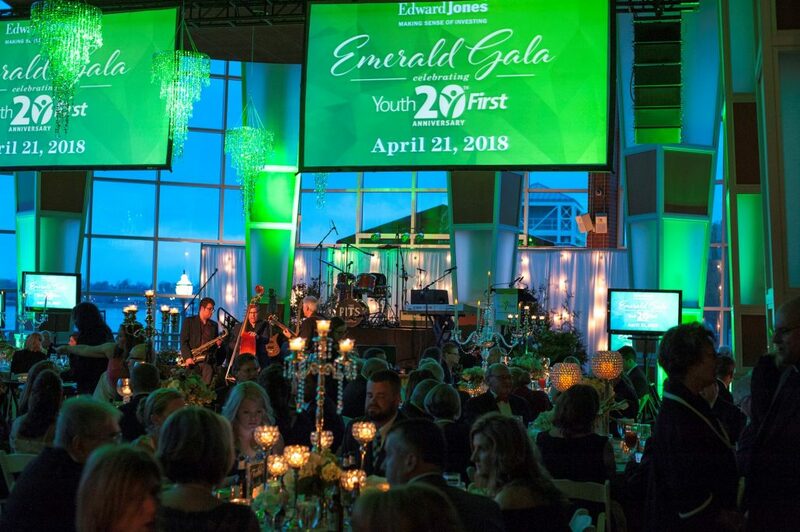 A record $342,000 was raised from the Emerald Gala Celebrating Youth First’s 20th Anniversary, held at Tropicana’s Riverfront Pavilion on Saturday, April 21, 2018. Nearly 500 guests enjoyed a live auction, program, formal dinner and dancing. 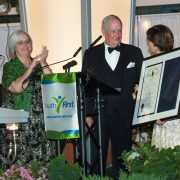 The Emerald Gala, sponsored by Edward Jones, celebrated Youth First’s supporters and impact over the years and set the stage for the organization’s future endeavors. 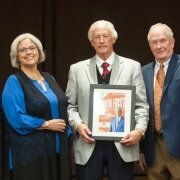 The Passport to Adventure Preview and Awards Reception, presented by Romain Cross Pointe Auto Park, was held on Thursday, April 19, 2018. The event was hosted by Hot 96’s Claire Ballard. 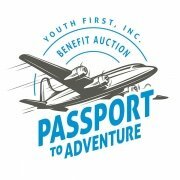 Guests previewed and placed bids on silent auction items, and young people who have benefitted from Youth First’s programs and services were honored. The Don Mattingly Youth Award was presented to middle school student Alicia Phillips of Pike Central Middle School and high school student Michaela McGregor of Signature School. The Carol Lynch Advocate of Youth First Award winner was Ethan Barrera of Harrison High School/Virtual Academy EVSC. Toyota Indiana sponsored the Awards Reception. Proceeds will be used to fund Youth First’s school social work services and prevention programs available to students and their families across southwest Indiana at no charge. Youth First would like to thank all of the generous event sponsors, donors, volunteers and attendees for your support of these two 20th anniversary celebrations. 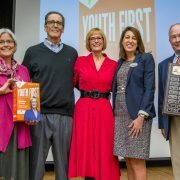 About Youth First, Inc.: Youth First’s mission is to strengthen youth and families through evidence-based programs that prevent substance abuse, promote healthy behaviors, and maximize student success. Youth First partners with 59 schools across 7 counties to provide 39 Master’s level social workers who assess needs, develop and implement prevention plans, and connect students and their families to community resources. Youth First also offers afterschool programs involving parents and caregivers to strengthen families. 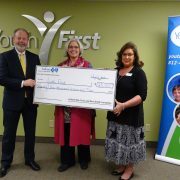 For more information about Youth First, please visit www.youthfirstinc.org or call 812-421-8336.